Come Explore the Village Within The City! 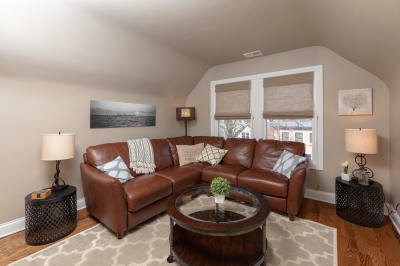 Roscoe Village Inn offers charming vacation rentals in Chicago's trendy Roscoe Village neighborhood five miles north of the heart of downtown and walking distance to Wrigley Field . Whether you're looking for a short-term stay or a vacation get-a-way, Roscoe Village Inn is the perfect place to call home for a few nights, a week or a longer extended stay! We have two, 2 bedroom | 1 bath guest suites ---each warm & inviting and fully equipped with everything you need to make you feel at home in Chicago. 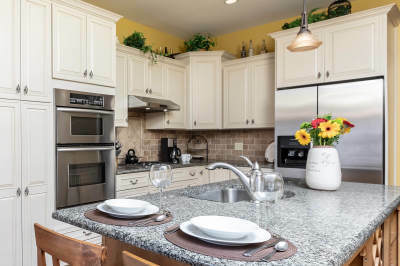 State of the art kitchens, comfortable bedrooms, spacious indoor and outdoor living space! Save Money. Click Here to Book Direct! As captivating as the neighborhood is, there is so much more of Chicago you’ll want to experience. 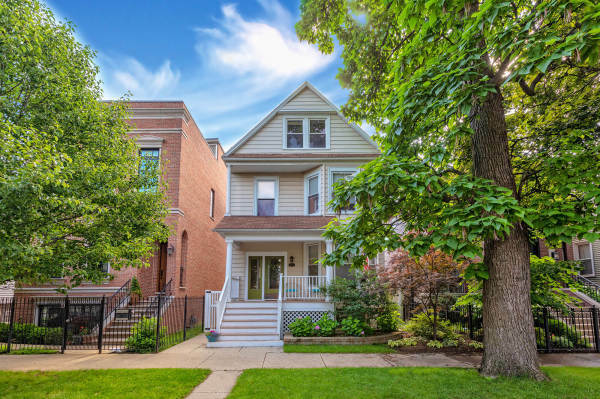 Roscoe Village is boarded to the east by Lakeview / Wrigleyville, another vibrant northside neighborhood which represents one of the city’s greatest concentrations of live theater & entertainment attractions and of course Wrigley Field; home to our beloved Cubs! You won’t want to miss an afternoon of hot dogs, cold beer and baseball in the second oldest ballpark in the country! Getting around couldn't be easier! 3 block to the Brown Line Train direct to downtown. CTA|Ventra Passes can be purchased in advance and downloaded to your phone! This property was on a quiet street 2 blocks from the main restaurants/shops area of Roscoe Village. The rental was very clean with flowers in nearly every room and there were plenty of towels and even travel sizes of soaps, shampoos and conditioners. We didn't cook but the kitchen was well stocked. The backyard was lovely. We didn't use our car much while we were in town but street parking was not a problem. We visited Chicago primarily for a Cubs game and picked Roscoe Village for its proximity to Wrigley. We took an Uber to the game and walked back (a little over a mile). It was a nice walk and great not to have to fight the traffic getting out of Wrigley. We really enjoyed Orange (went for breakfast two mornings), Roscoe Books (really nicely curated), and Paciugo for gelato.